Women have been borrowing from menswear since prehistoric times. There’s something slightly magical about the contrast between a masculine garment and the female form that has fascinated for centuries. The empowerment that men’s clothes bring to their wearer is only enhanced by the female body. One such male garment that has become something of an iconic look when worn by a woman is the shirt. When designing our women’s nightshirt we wanted to recreate the feeling of putting on a man’s shirt — how the oversized cut makes you feel a little bit dainty, the customisation opportunities (sleeves rolled or buttoned) to make it your own and the formal collar and cuffs juxtaposed with the relaxed fit. 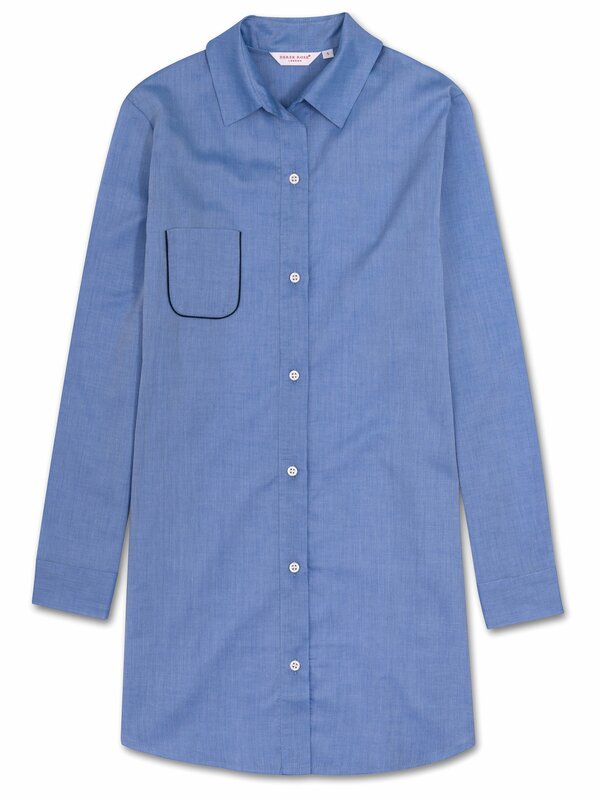 This button-through nightshirt has a classic collar, cuffs, piped pocket and side vents and is cut from lightweight batiste cotton.